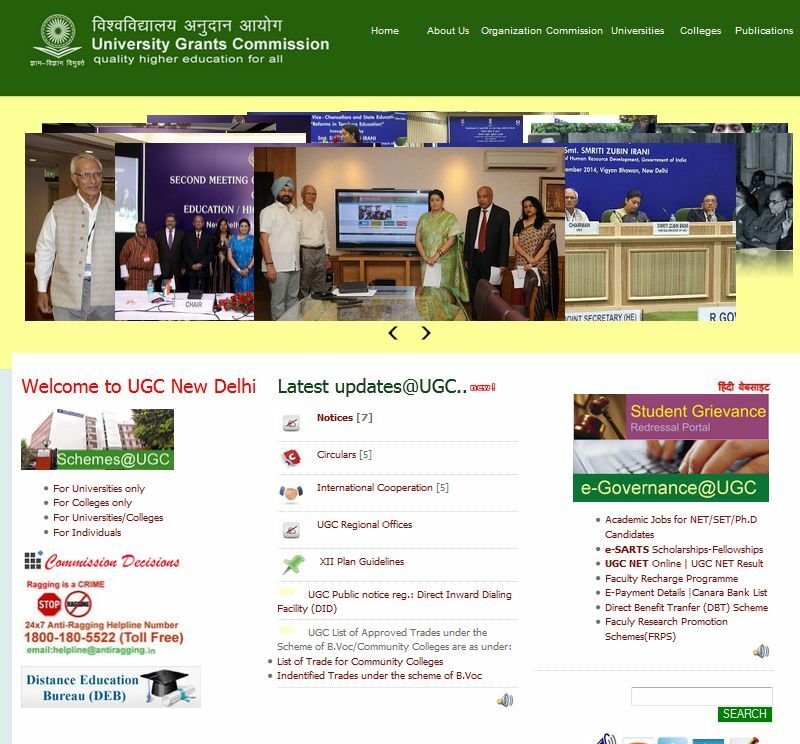 Hi I want to visit the official website of University Grants Commission UGC so provide me the official website of UGC? The University Grants Commission (UGC) of India is a statutory organization established by the Union government in 1956. It provides recognition to universities in India. Its headquarters are in New Delhi, and six regional centres in Pune, Bhopal, Kolkata, Hyderabad, Guwahati and Bangalore. In the middle of the page there is a section of latest updates@UGC.